Recently, NC Family has called on citizens across the state to take a stand against the proliferation of predatory gambling in North Carolina by contacting our two U.S. Senators (Richard Burr and Thom Tillis). Last week, we informed you about S.790, the Catawba Casino bill introduced by Senator Lindsey Graham (R-SC)—and cosponsored by Sens. Burr and Tillis—that would allow the South Carolina-based Catawba tribe to build a massive casino along the I-95 corridor in Kings Mountain, North Carolina. But this bill is not the only gambling proposal NC Family is currently fighting. 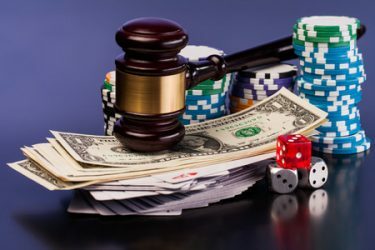 An abundance of gambling bills have been introduced closer to home in the North Carolina General Assembly that we want to bring to your attention. Both the House and Senate are considering almost identical bills to allow nonprofit organizations, employers, and trade associations to operate casino-style game nights. These organizations would be required to obtain a game night permit and pay a fee, and would not be allowed to conduct more than four such events per year. Cash payouts or cash prizes would be prohibited, and the games allowed at the event would be limited to: roulette; blackjack; poker; craps; simulated horse race; and merchandise wheel of fortune (and in one of the bills, “Any other game specified in the permit application and approved by Alcohol Law Enforcement”). The bills’ sponsors and supporters have argued that hundreds of these game nights are already being illegally conducted by nonprofits and other organizations statewide. Therefore, they say, these game nights should be legalized and regulated. SB 66 is sponsored by Senators Rick Gunn (R-Alamance), Tom McInnis (R-Richmond), and John Alexander (R-Wake). The primary sponsors of HB 130 are Representatives Jamie Boles (R-Moore), Marvin Lucas (D-Cumberland), Jason Saine (R-Lincoln), and Elmer Floyd (D-Cumberland). These bills would allow betting on professional and collegiate sporting events at the casinos on the Cherokee Indian Reservation in Western North Carolina. The Eastern Band of Cherokee Indians is the only Indian Tribe in North Carolina with full federal recognition. SB 154’s primary sponsor is Senator Jim Davis (R-Macon); HB 302’s primary sponsors are Reps. Kevin Corbin (R-Macon), Jason Saine (R-Lincoln), and Howard Hunter (D-Hertford). VIDEO: Watch NC Family President John Rustin speak about the harms of sports gambling on a recent episode of In Focus with Loretta Boniti on Spectrum News. Sponsored by Senator Toby Fitch (D-Wilson), this bill would give the North Carolina State Lottery Commission the power to license and regulate off-track pari-mutuel horse race wagering. Pari-mutuel wagering is defined in the bill as “a form of wagering on the outcome of horse races in which wagers are purchased on a horse or horses and all wagers for each race are pooled and held by the licensed organization for distribution.” The bill does little to limit who the Commission could license, so long as the applicant pays a $1,000 annual application fee, and provides a place for patrons to wager and view the progress of their wagering. At least every quarter, 20 percent of all money wagered at each licensed location would be sent to the Commission and credited to the North Carolina State Lottery Fund. This bill, sponsored by Senator Rick Gunn (R-Alamance), would add a section the NC General Statutes making it lawful for a person or a nonprofit to participate in “pool selling,” or “the act of selling or distributing shares or chances in a betting pool.” In a betting pool, entrants pay a fixed entry fee to join the pool and then make a selection on the outcome. The language of this bill is particularly vague and unclear. It appears the bill could legalize just about any form of pool betting, including wagering on sporting events and tournament brackets. The General Statutes already includes sections that allow persons and nonprofits to participate in bingo and raffles. For decades, NC Family has been researching the impact that predatory gambling has on individuals, families and communities. Regardless of the form, the presence of legalized gambling entices citizens to gamble. Of those who do, a significant percentage will develop an addiction to gambling. Years of research has proven very high correlations between problem and pathological gambling and social harms like theft, embezzlement, domestic violence, child abuse, divorce, and even suicide. This is why we oppose all of the bills mentioned above. NC Family will be providing more details about these and other gambling-related bills as the 2019 Legislative Session progresses. Please stay tuned, and visit our website at ncfamily.org often for timely updates and information.